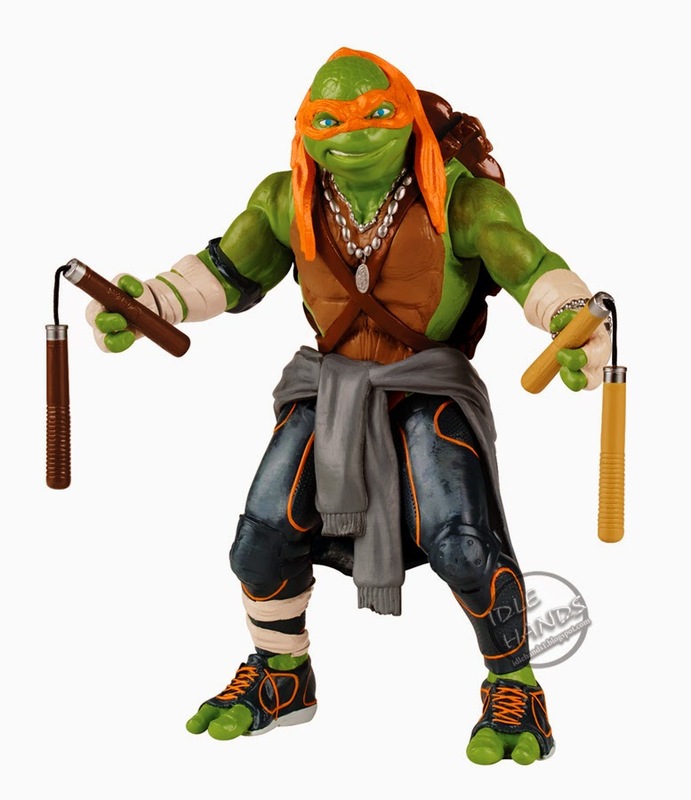 “Our film marketing campaign will benefit from the strong market position of the Nickelodeon consumer products program for the property worldwide,” commented LeeAnne Stables, President of Consumer Products and head of global partnerships for Paramount. 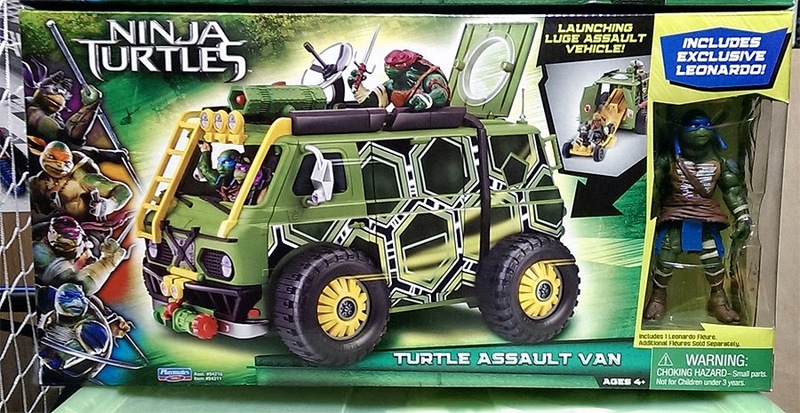 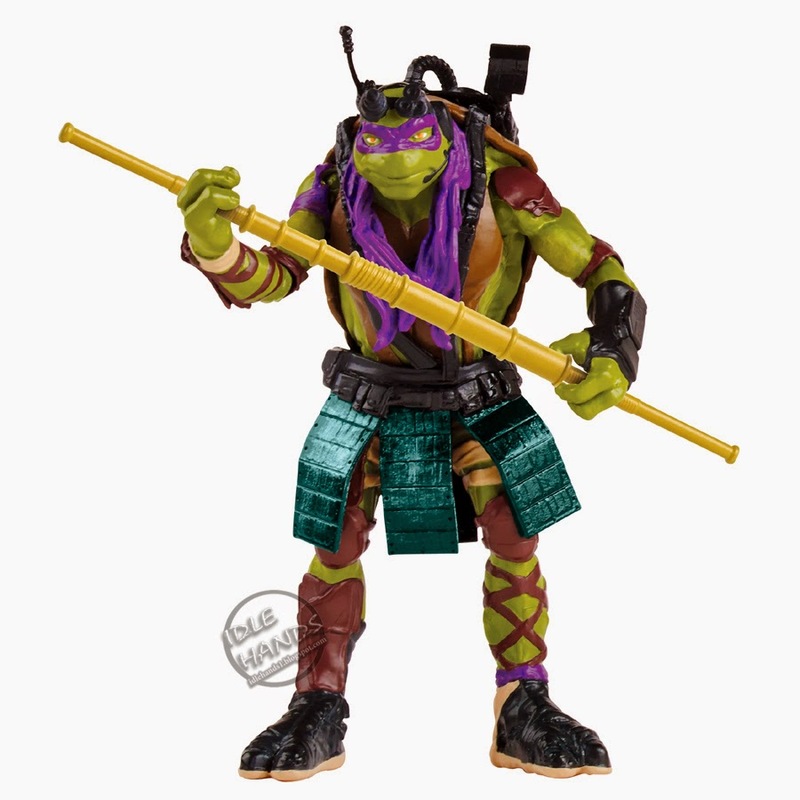 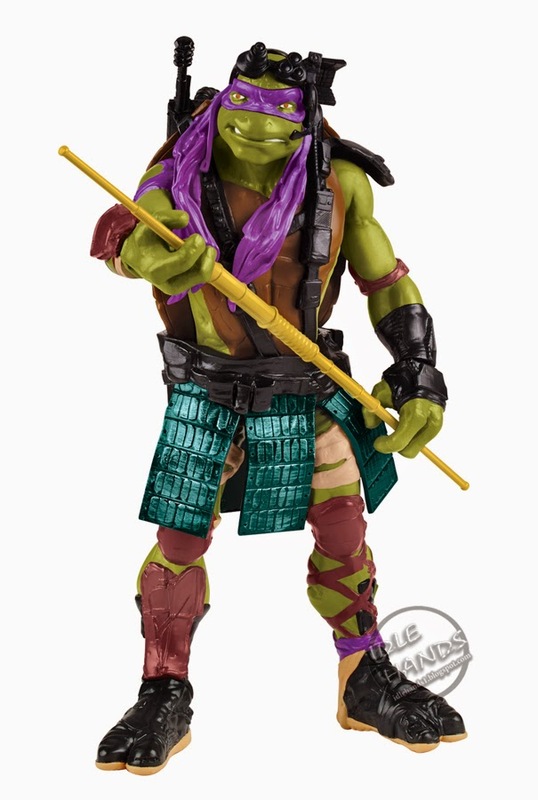 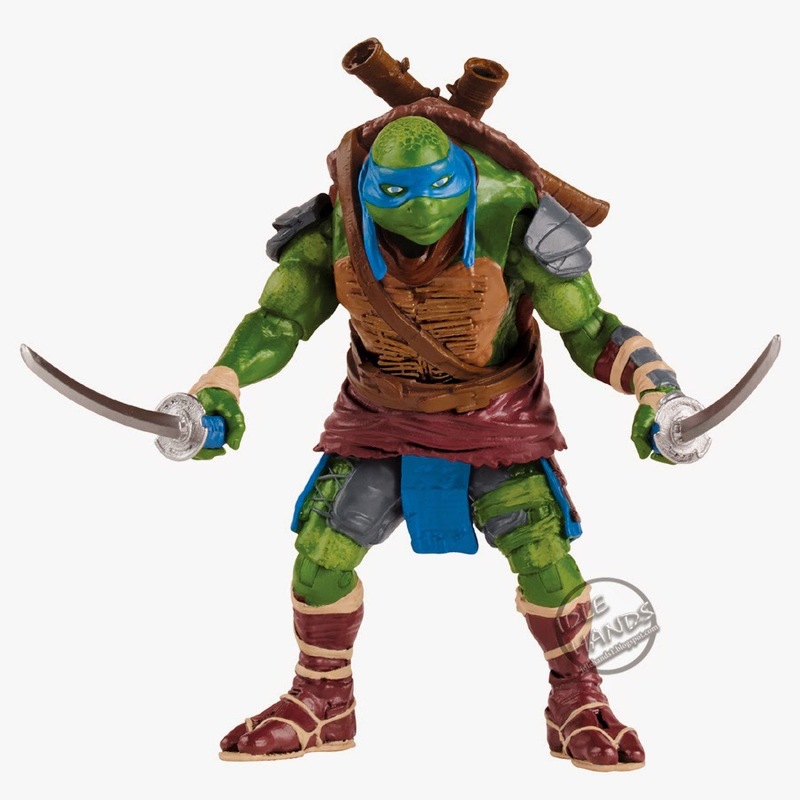 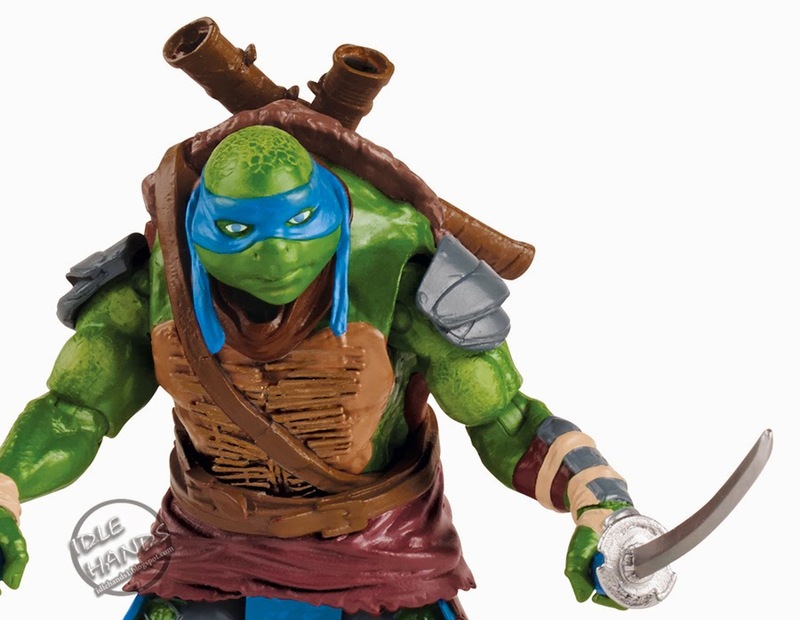 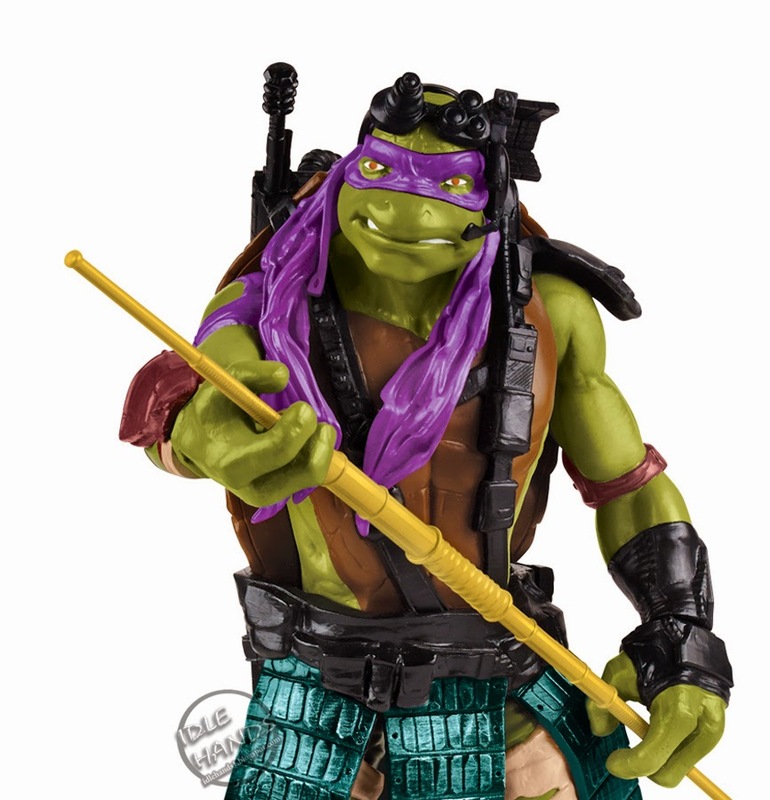 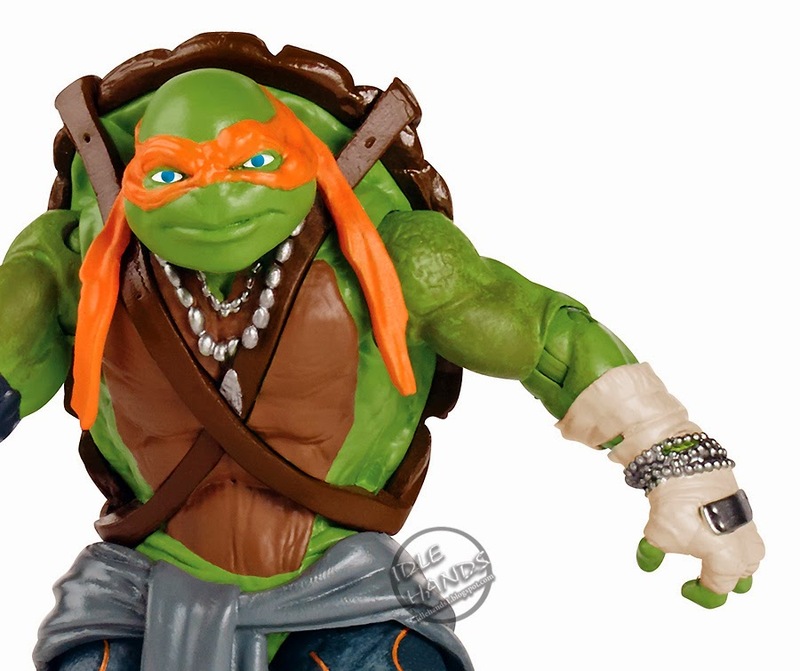 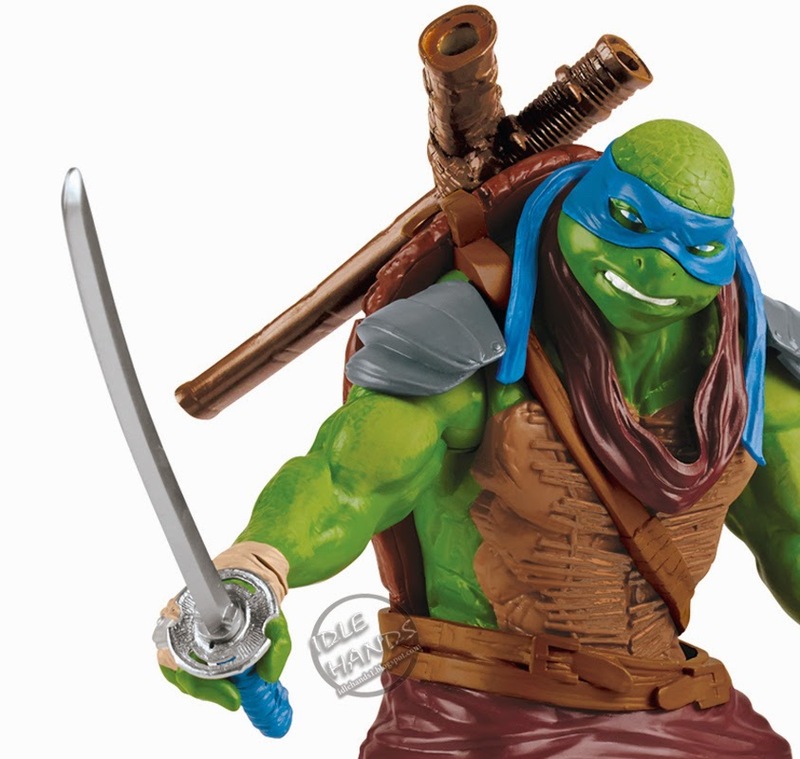 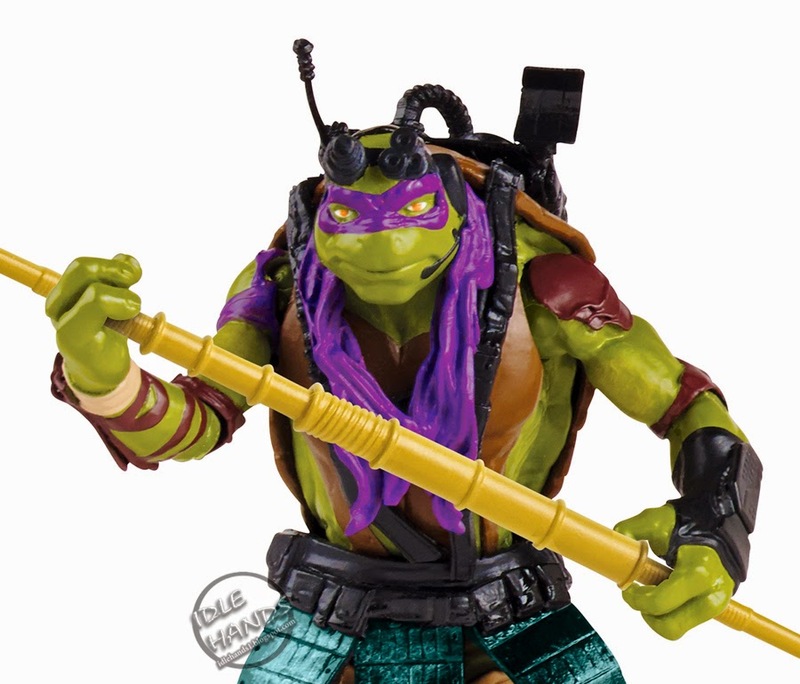 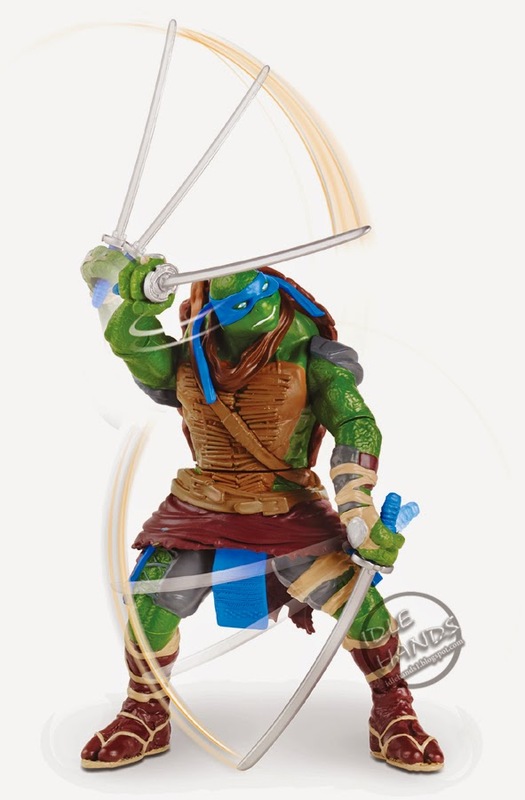 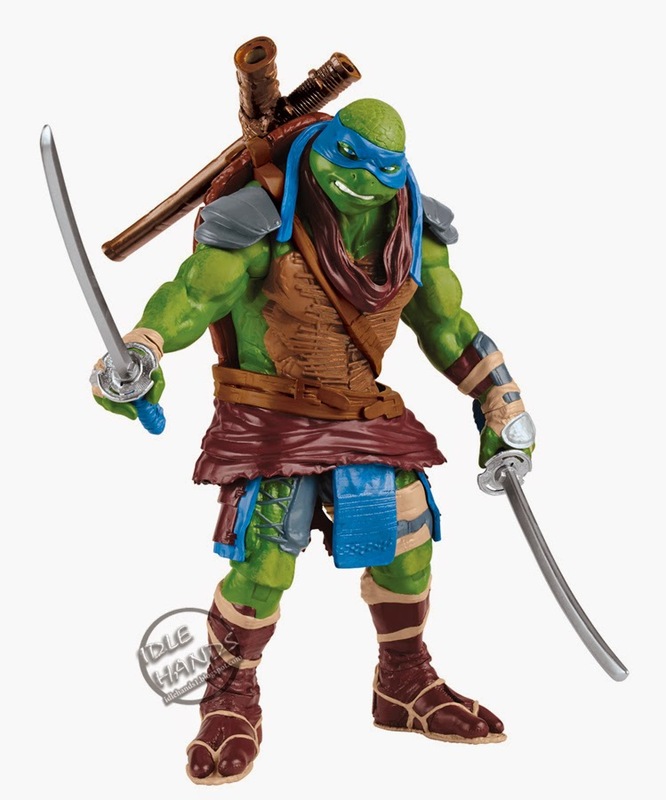 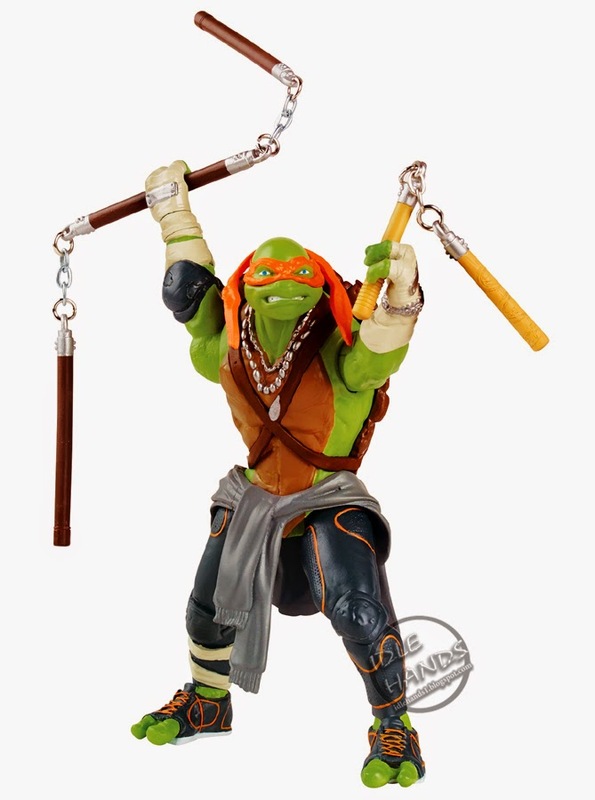 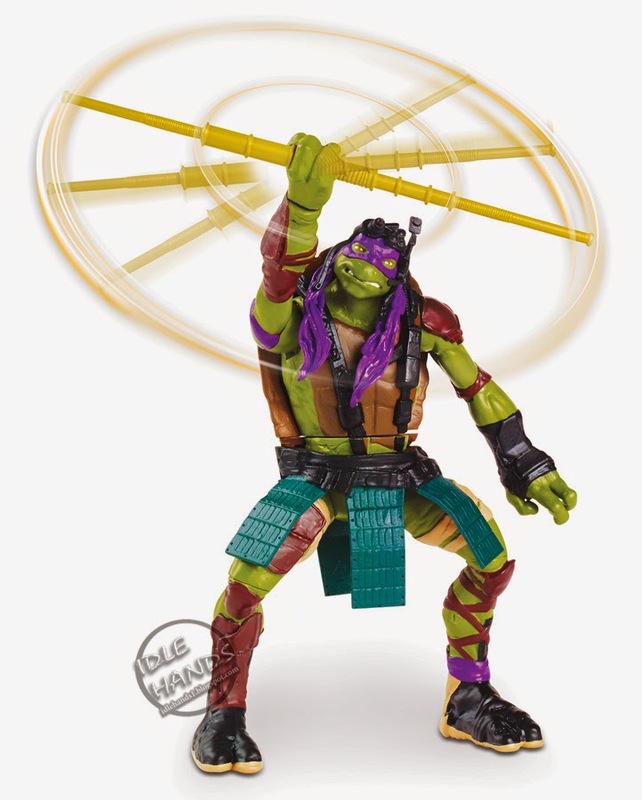 “The Nickelodeon team has delivered an impressive effort to build awareness across retail for this exciting movie ahead of release this August.” Target will be the official destination for exclusive Teenage Mutant Ninja Turtles movie toys beginning July 13 in-store and July 20 on Target.com. 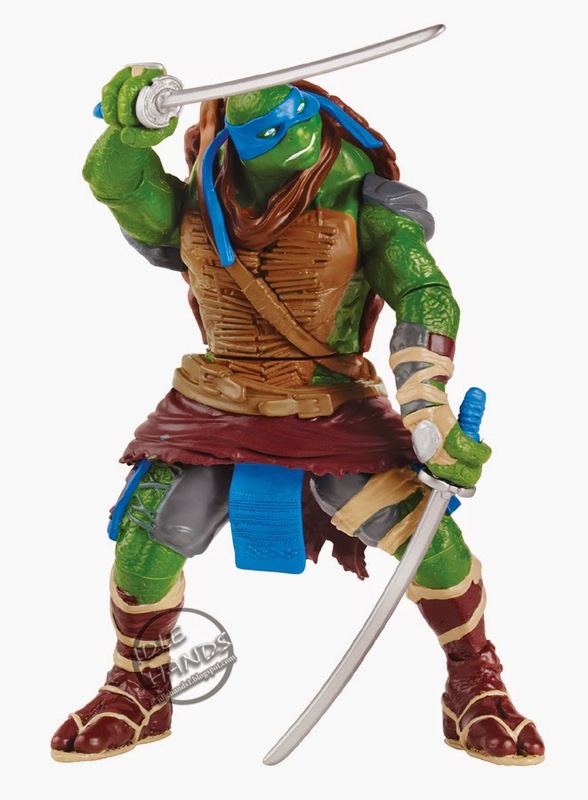 Teenage Mutant Ninja Turtles movie-related products will be available in all major retailers from mass to specialty from Walmart and Toys“R”Us, to Amazon.com and Hot Topic, to name a few. 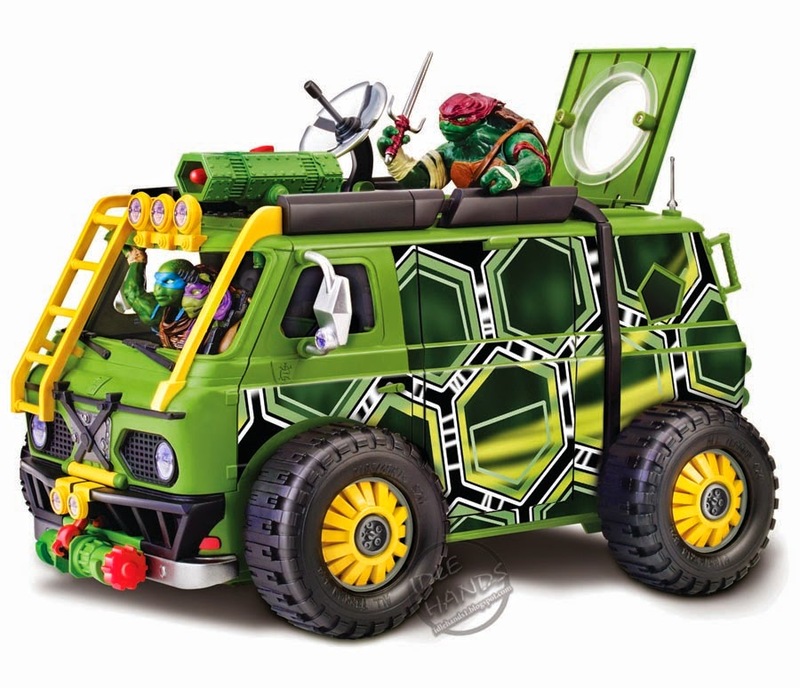 - Toys and Video Games from Playmates Toys, LEGO and Activision Publishing, Inc.
- Apparel, Accessories and Costumes from ACI; Accutime; Bentex; Berkshire; Bioworld; Crocs; FGX International; Freeze; Handcraft; Hanover; H.E.R. 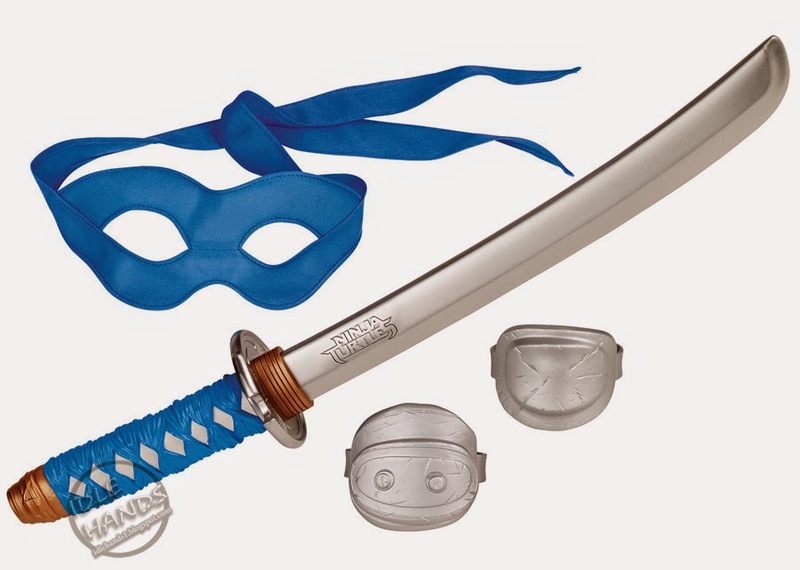 Accessories; High Point; Isaac Morris; LF USA; MZ Berger; Nouveau; Pan Oceanic; PS Brands; Richard Leeds and Rubie’s Costume Co.
- Publishing and Home Entertainment from Insight Editions (which we showed you HERE) and Paramount Home Entertainment. 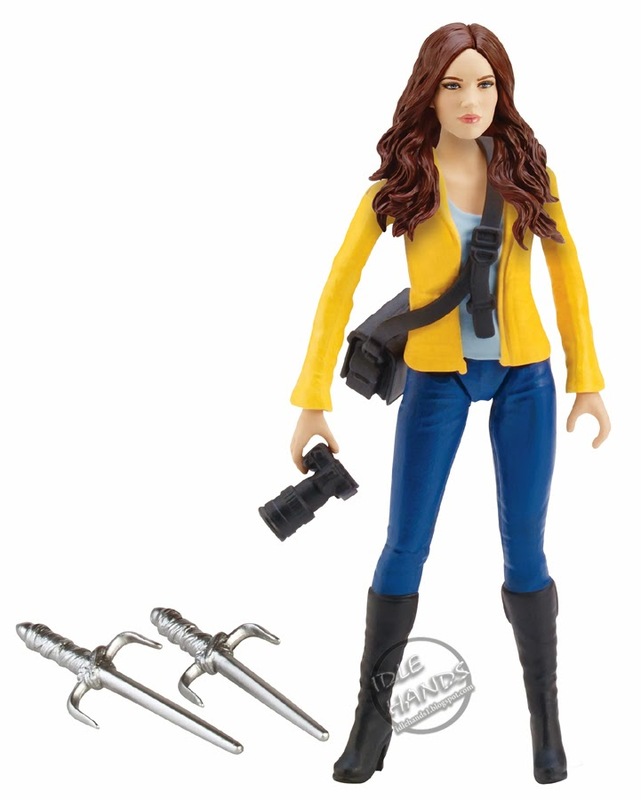 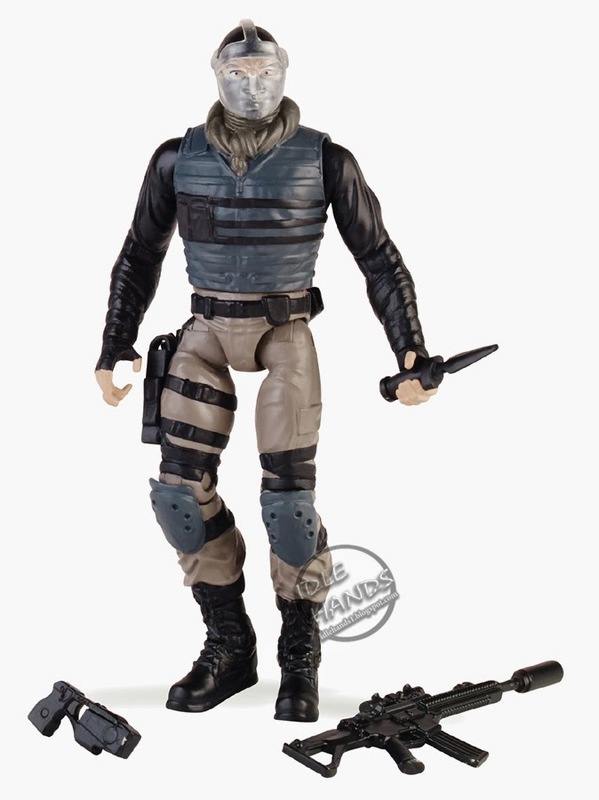 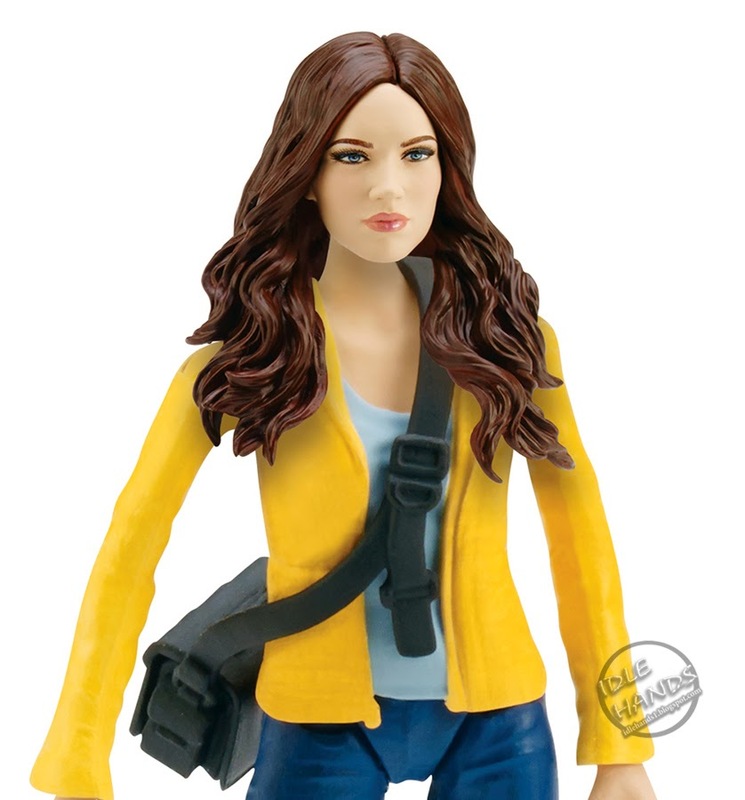 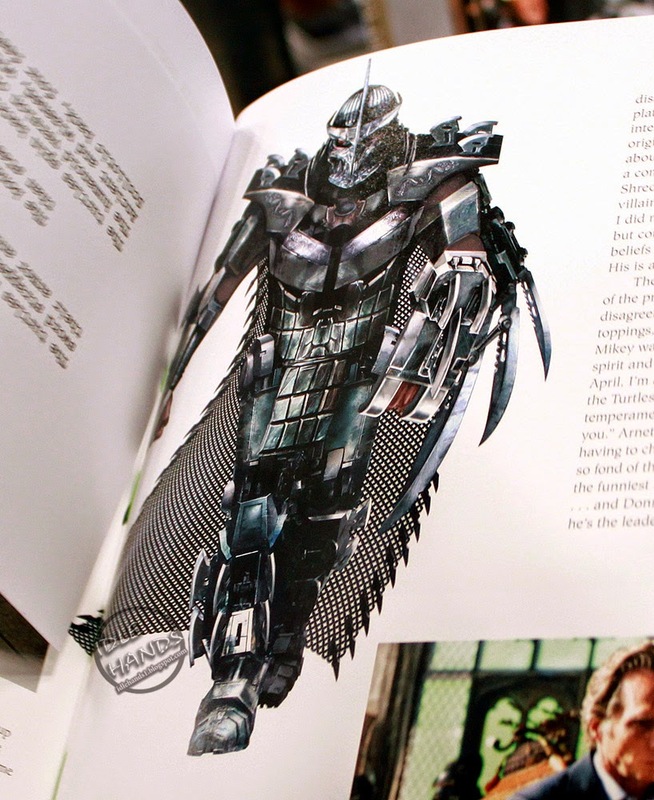 The action figure collection will include basic action figures, 11-inch figures and deluxe feature figures. 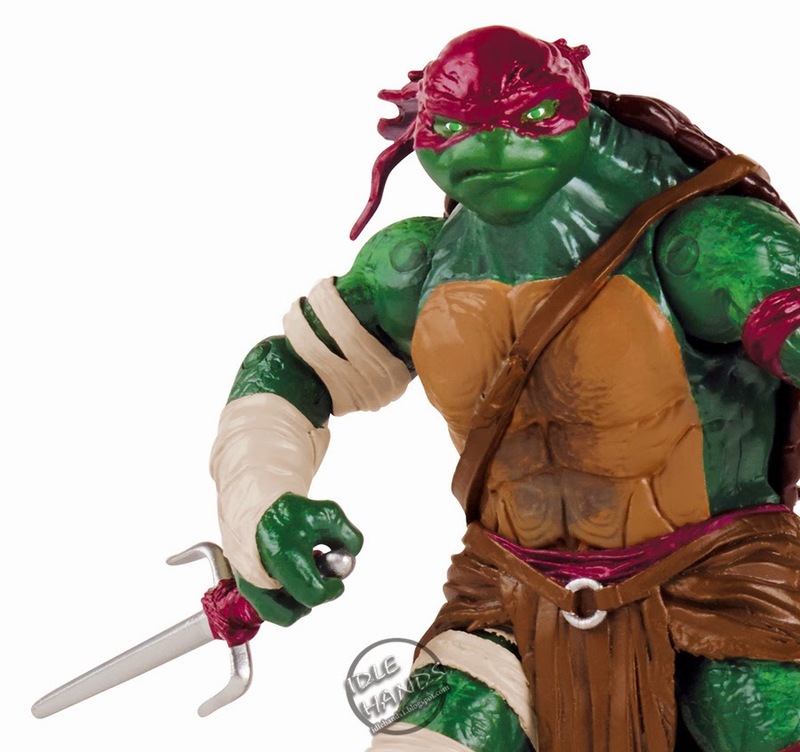 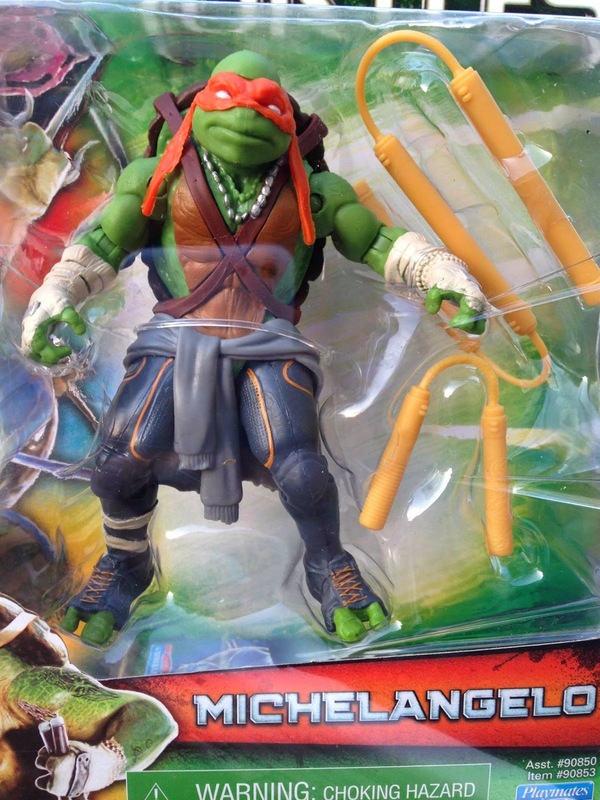 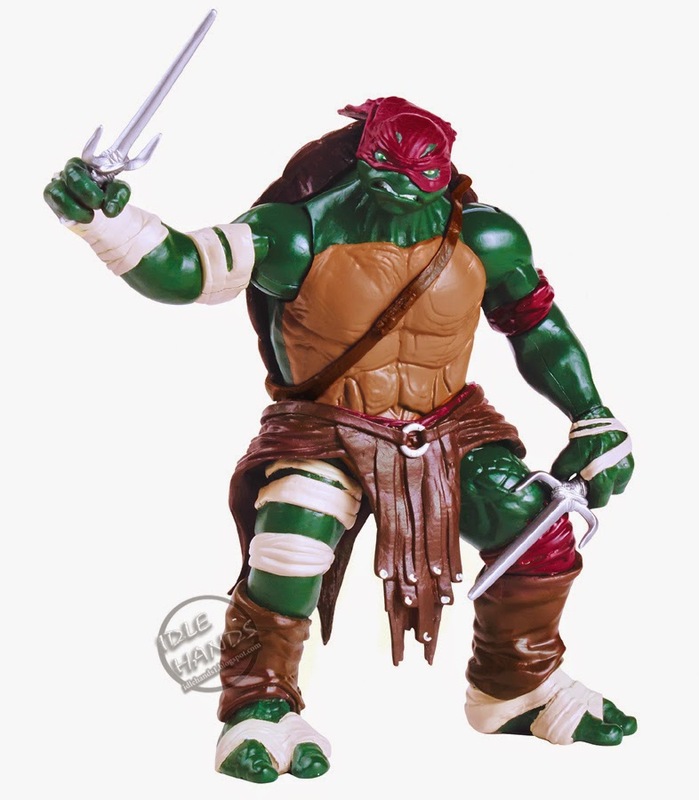 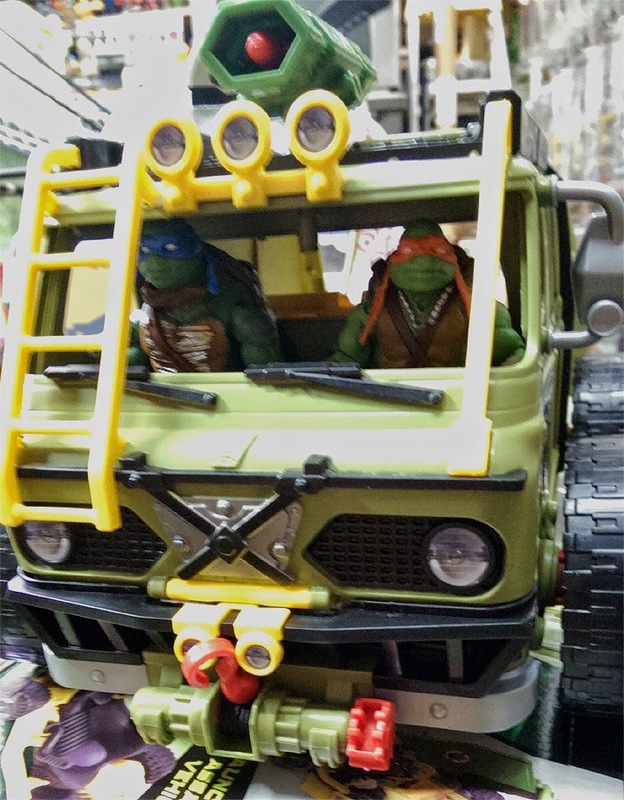 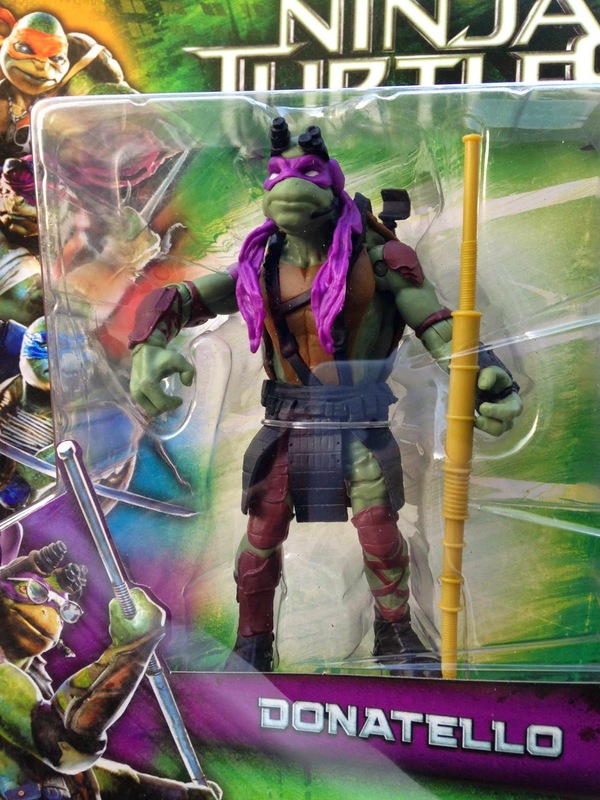 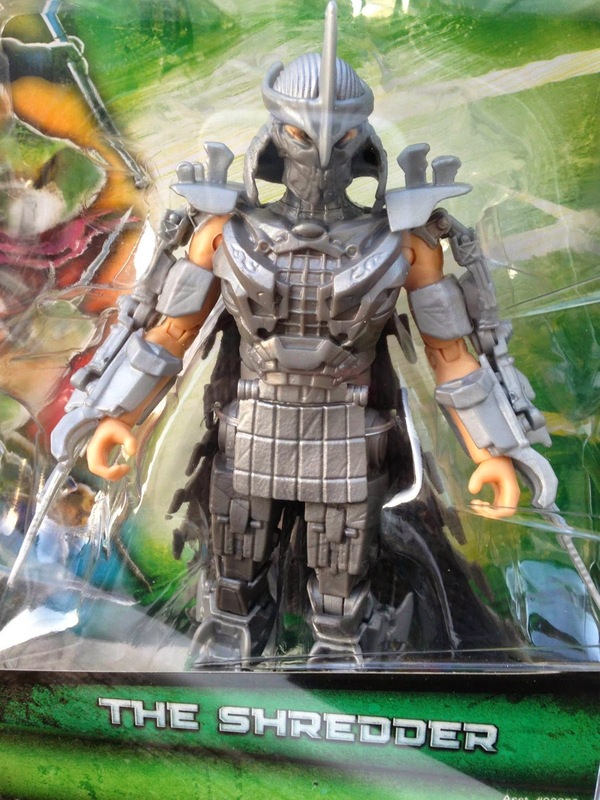 The action figures are highly detailed, fully articulated and uniquely sculpted to reflect the Turtles' appearance in the movie. 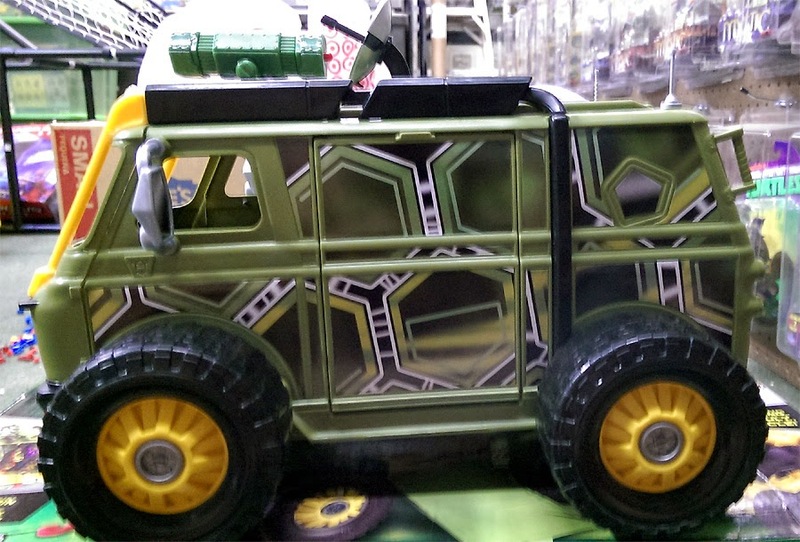 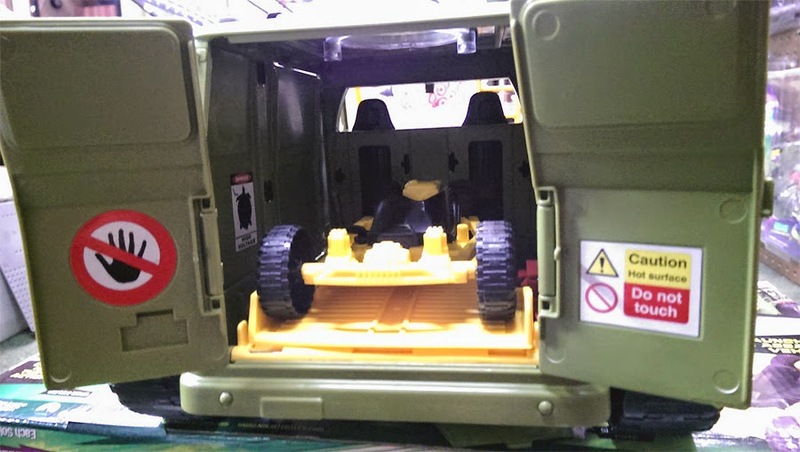 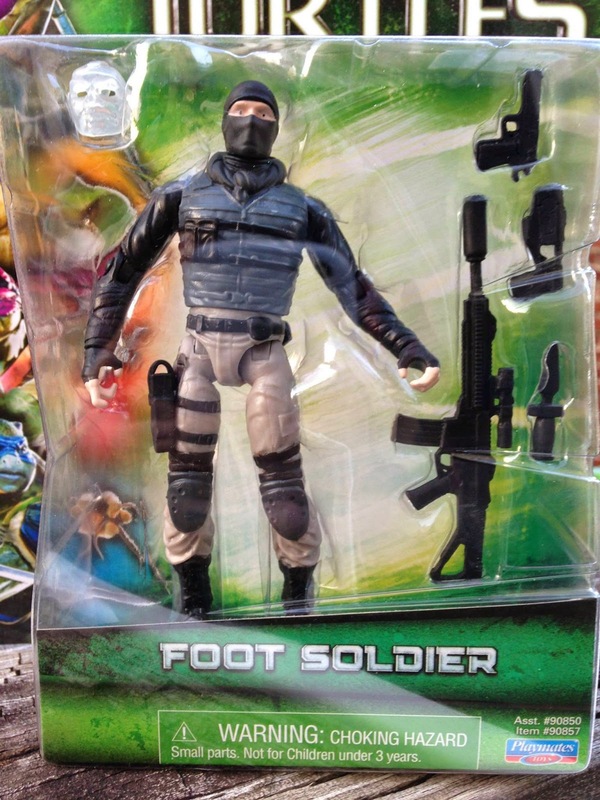 In addition, each figure comes equipped with unique accessories. 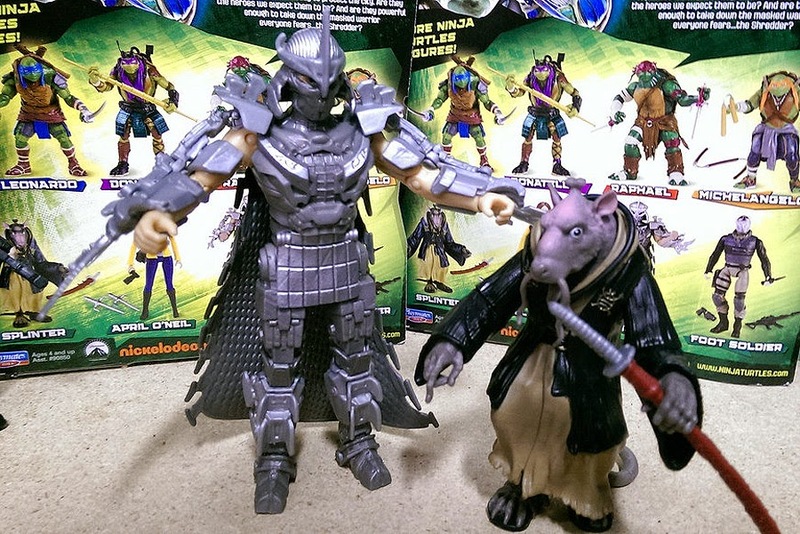 The basic action figures vary in heights from 4.0 inches to 5.5 inches. 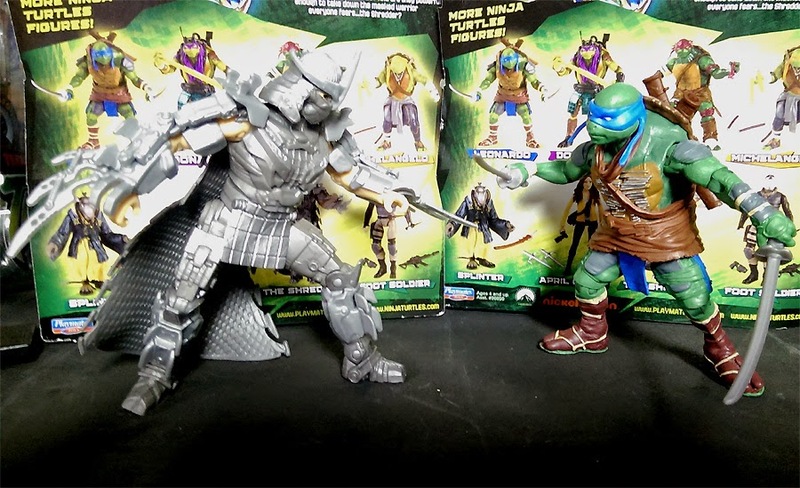 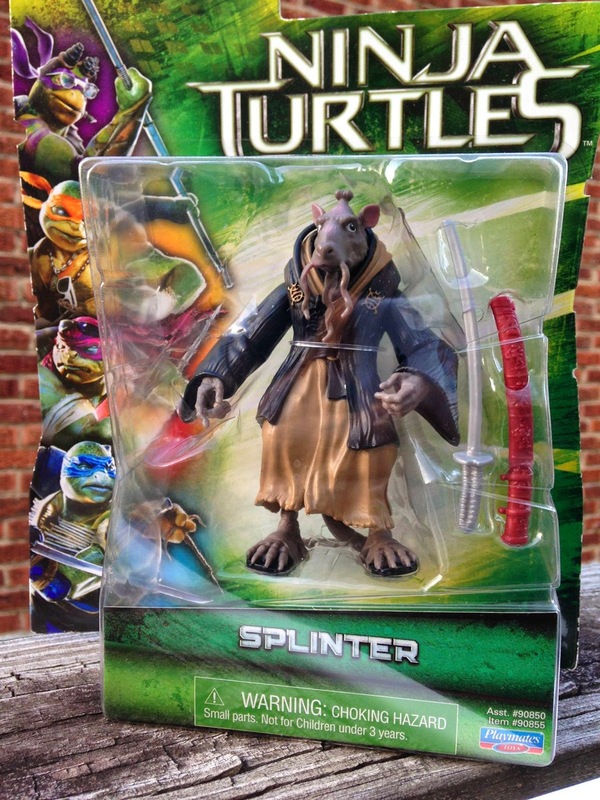 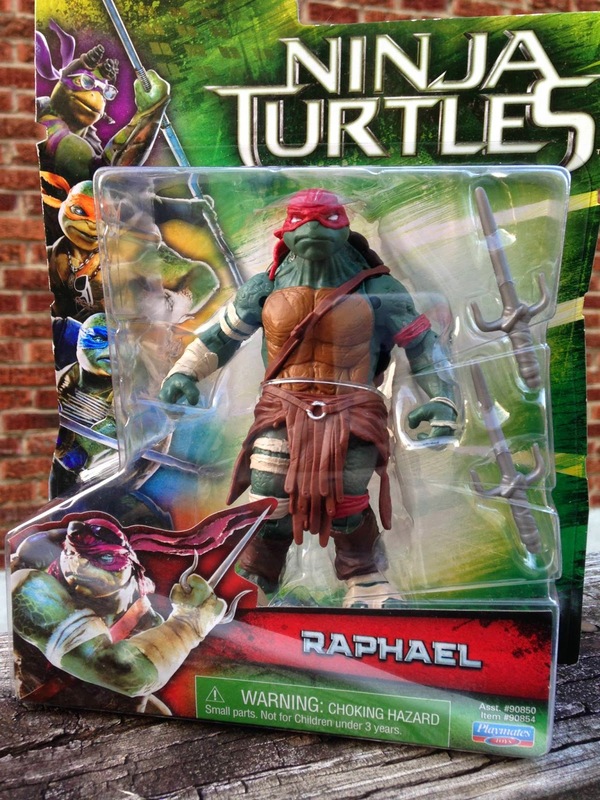 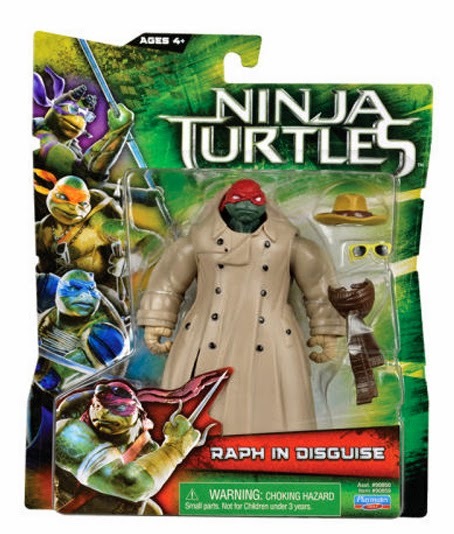 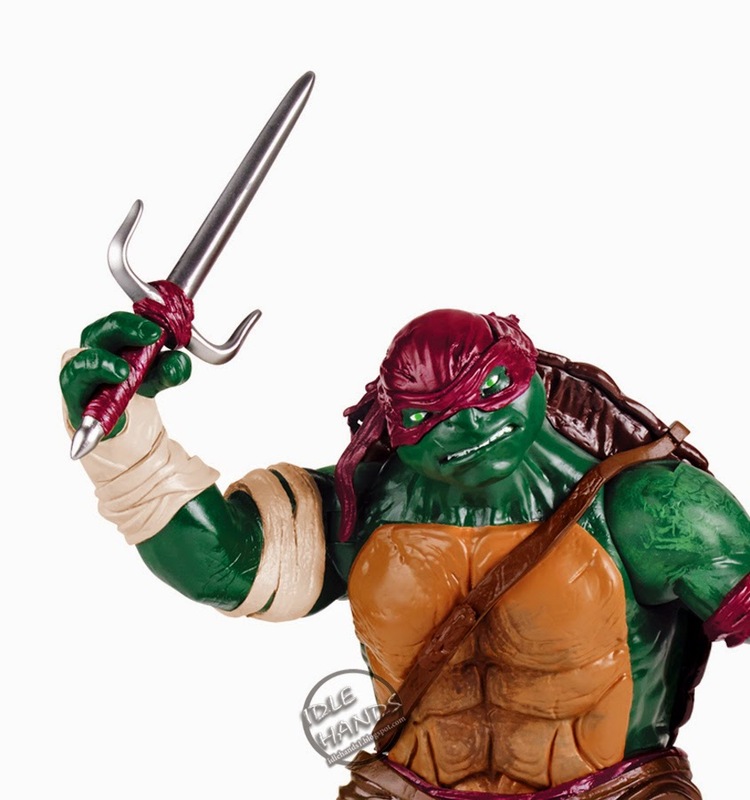 The collection includes Leonardo, Donatello, Michelangelo and Raphael, as well as Splinter, The Shredder, Foot Soldier, April O'Neil and Raphael in Disguise. 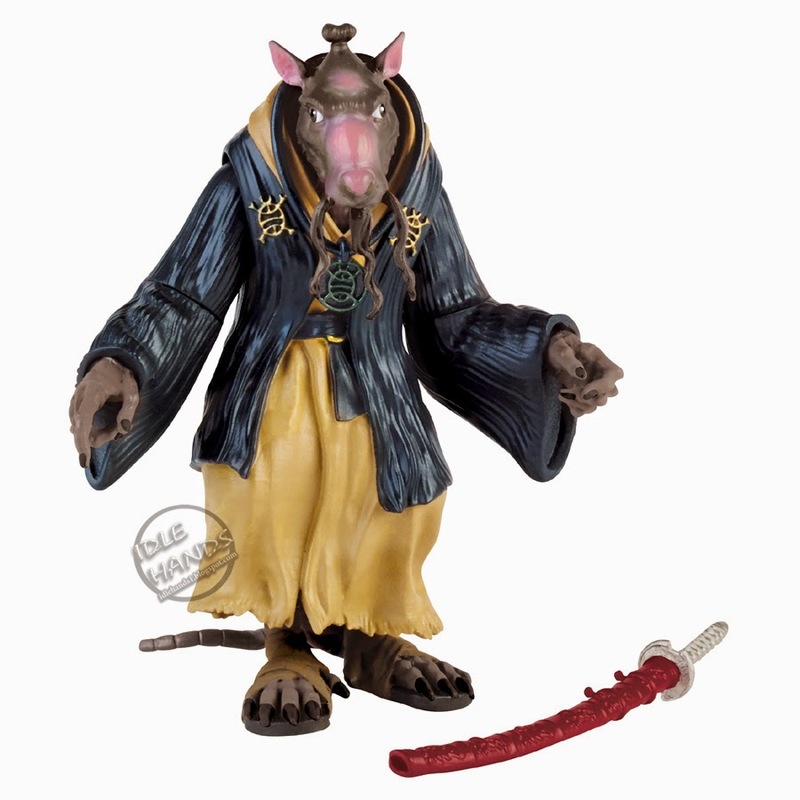 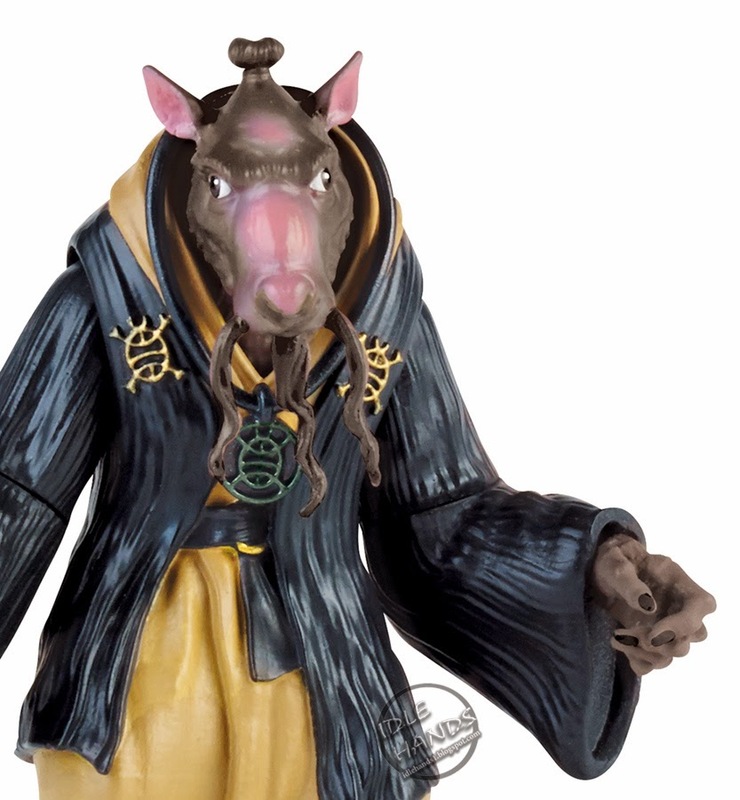 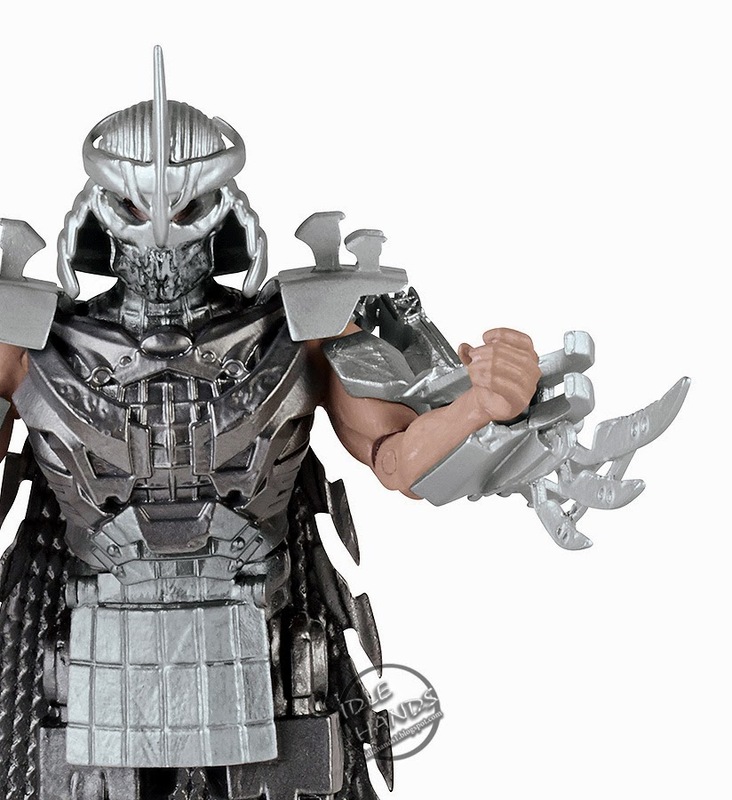 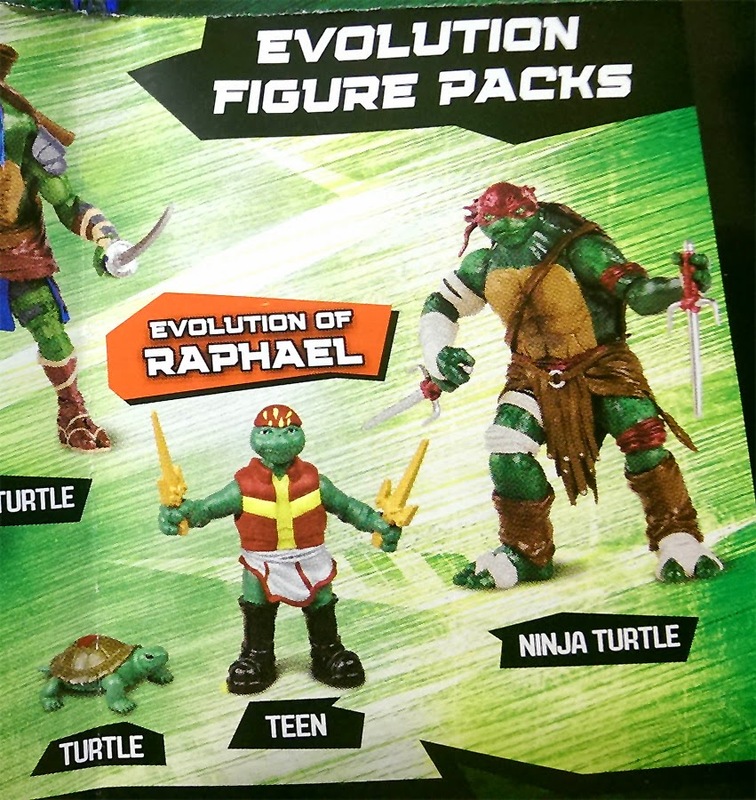 The 11-inch figure collection includes the four Ninja Turtles. 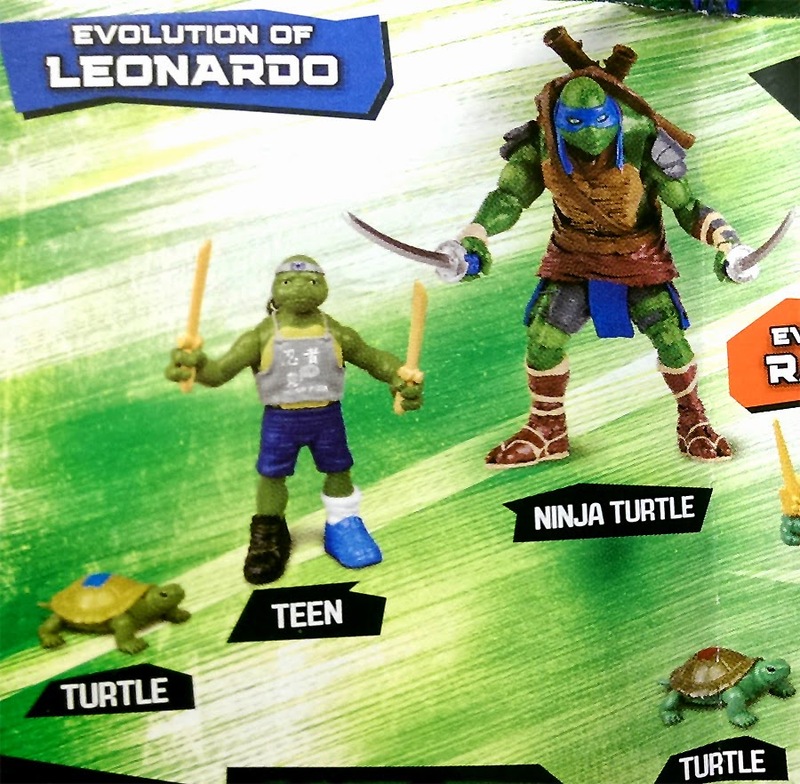 So...wait...if they WERE teens...and now they are not...why are they Teenage Mutant Ninja Turtles??? 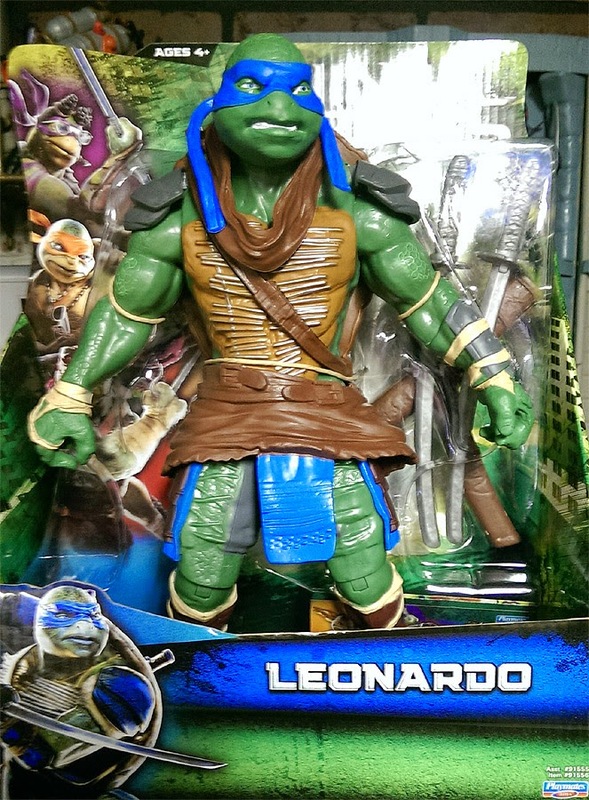 ...My brain hurts. 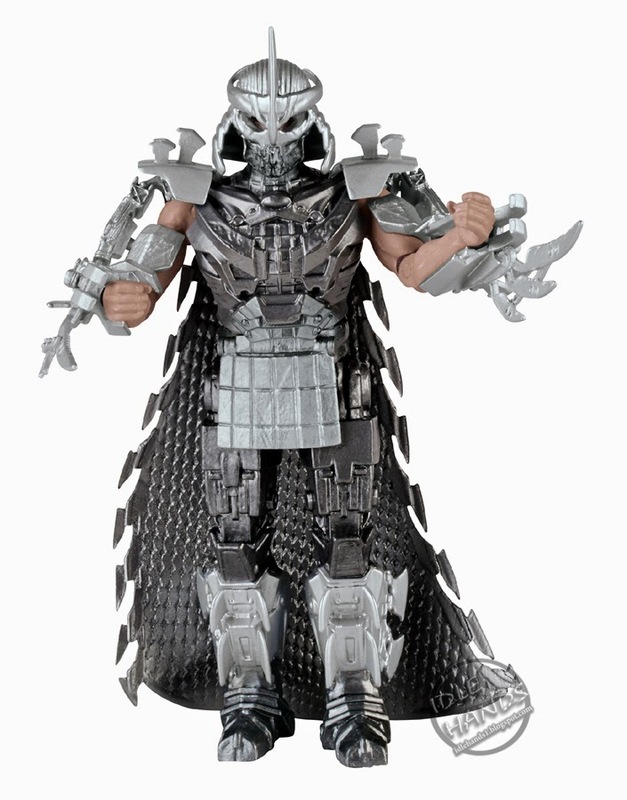 The Combat Warrior Deluxe Figures are highly detailed, fully articulated and uniquely sculpted, with heights ranging from 5.25 inches to 6 inches. 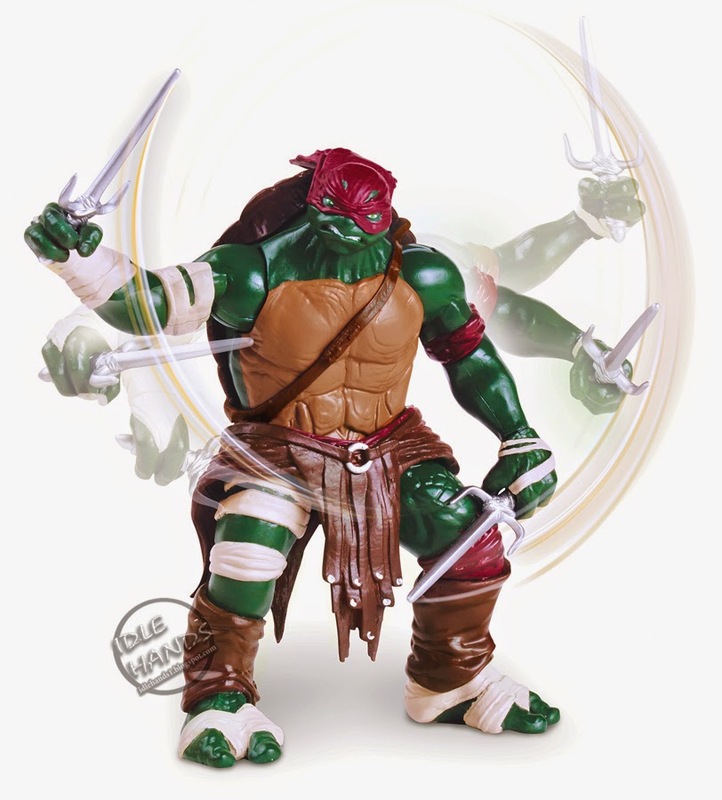 The Turtles' legs can be squeezed to trigger battle actions. 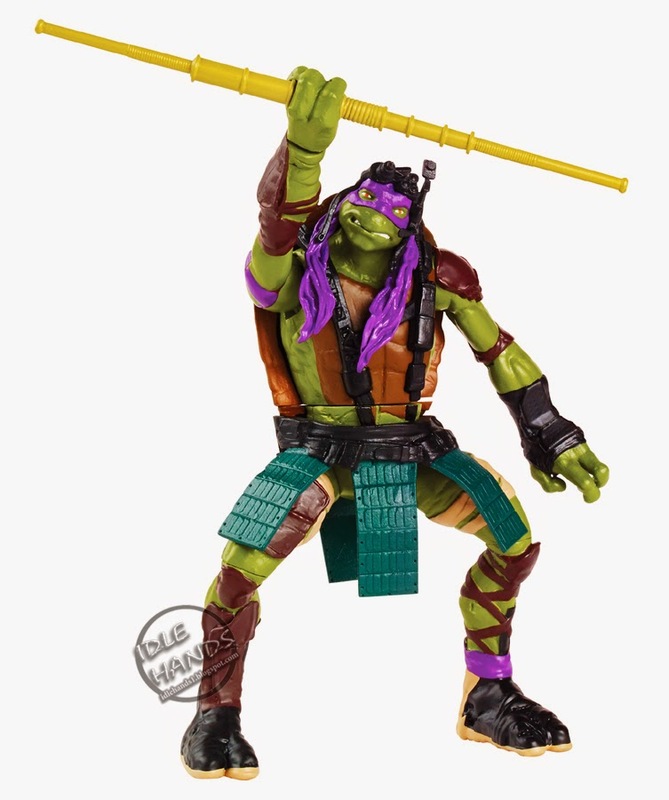 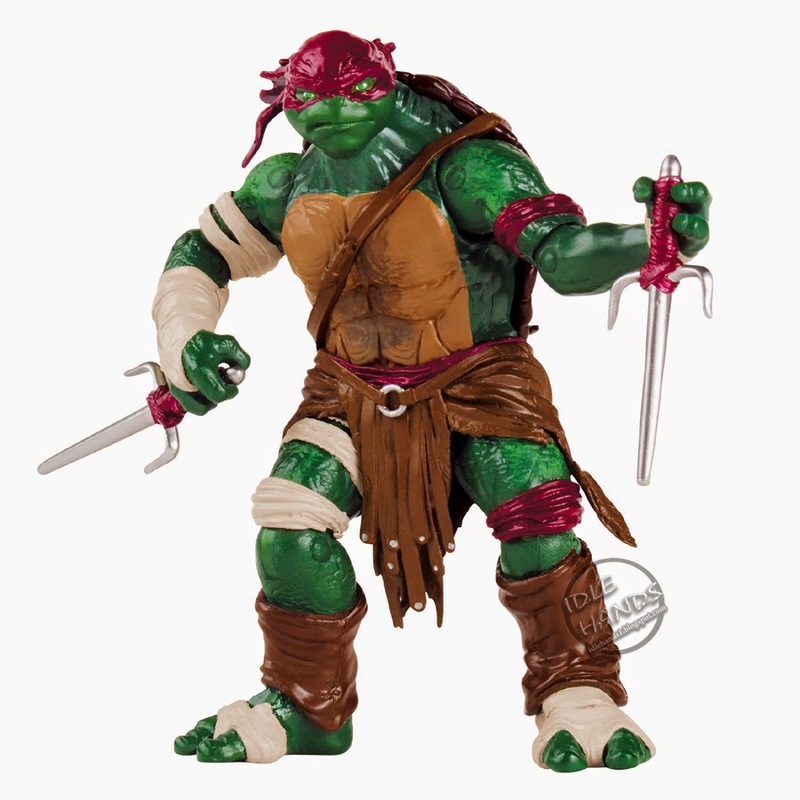 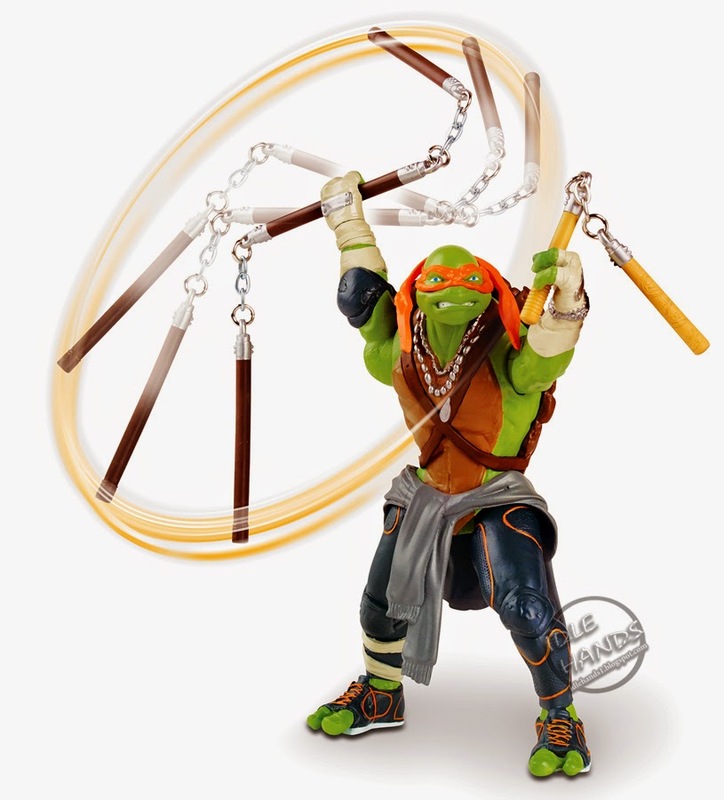 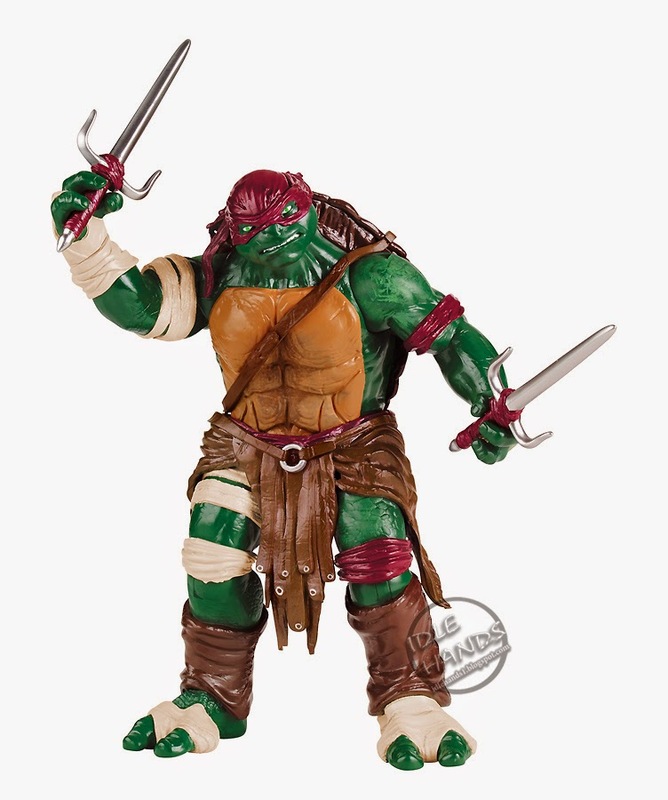 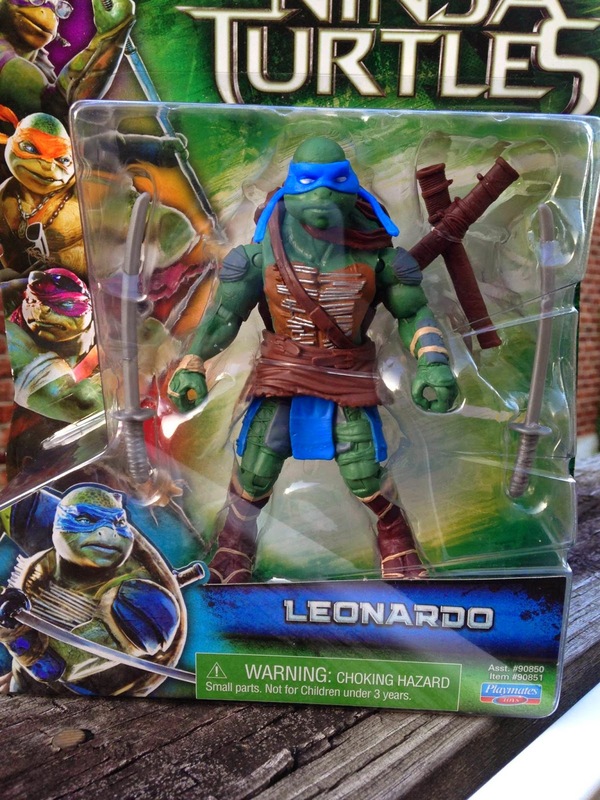 The collection includes Leonardo with quick cut katana action, Donatello with smack-down spinning staff action, Michelangelo with triple terror twist nunchuck action and Raphael with serious slashing sai action. 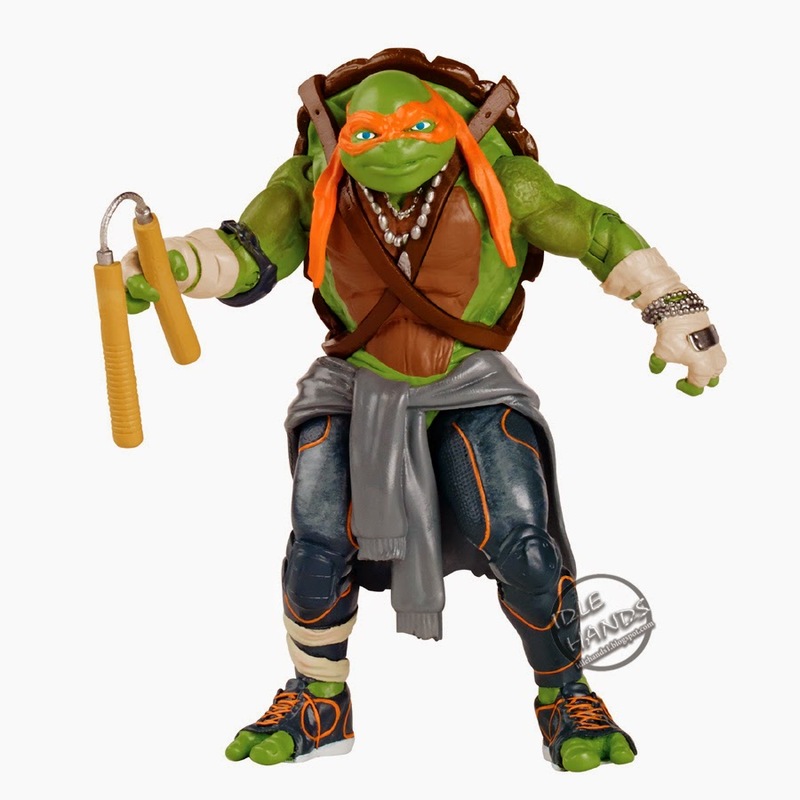 With the Ninja Combat Gear, kids can transform themselves into one of their favorite heroes in a half shell from the film. 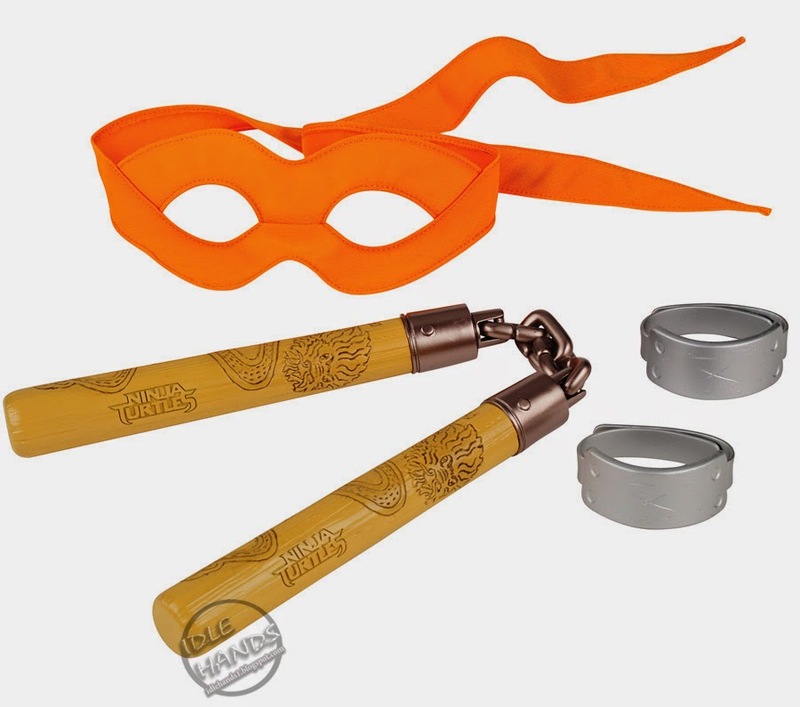 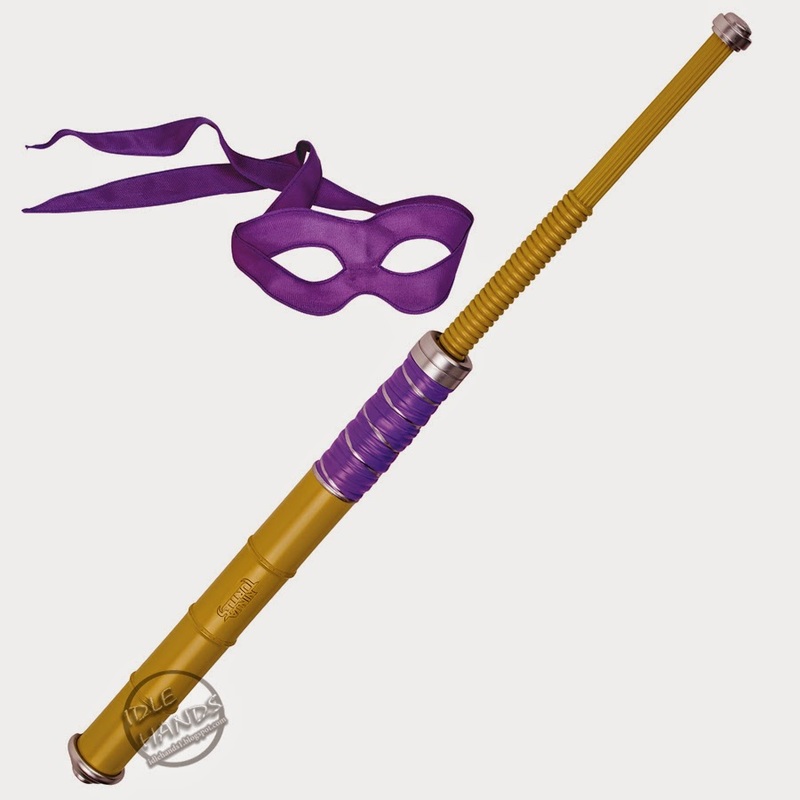 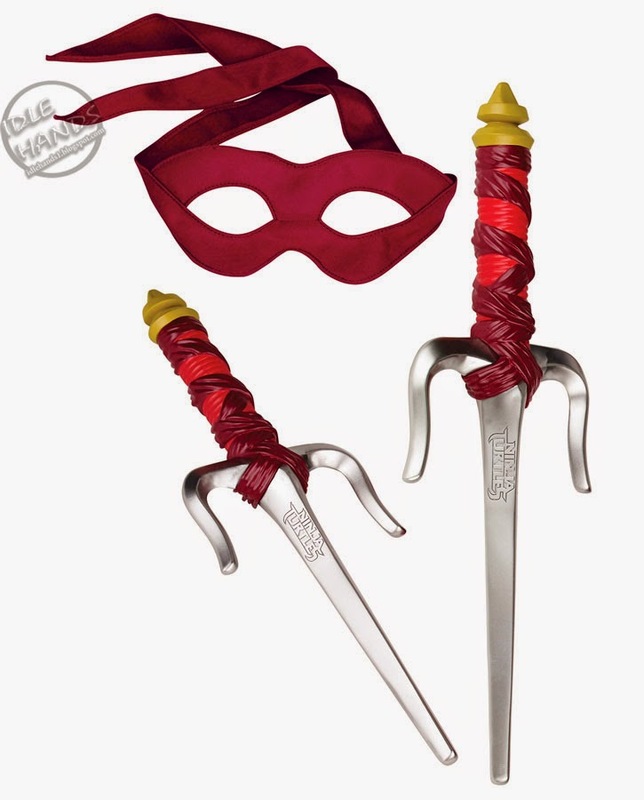 Each set includes the Turtles' signature weapon and bandana, allowing kids to see if they have what it takes to become a Ninja Turtle. 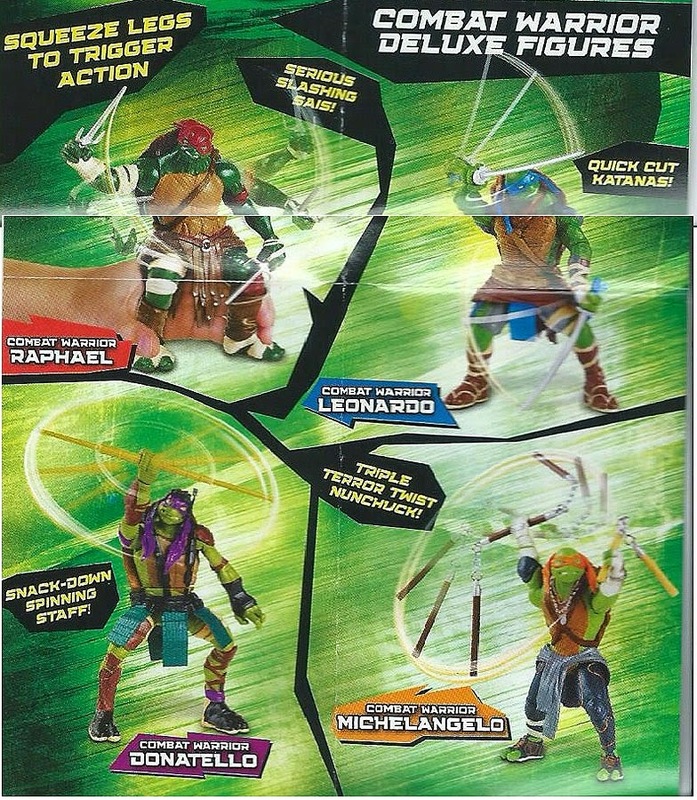 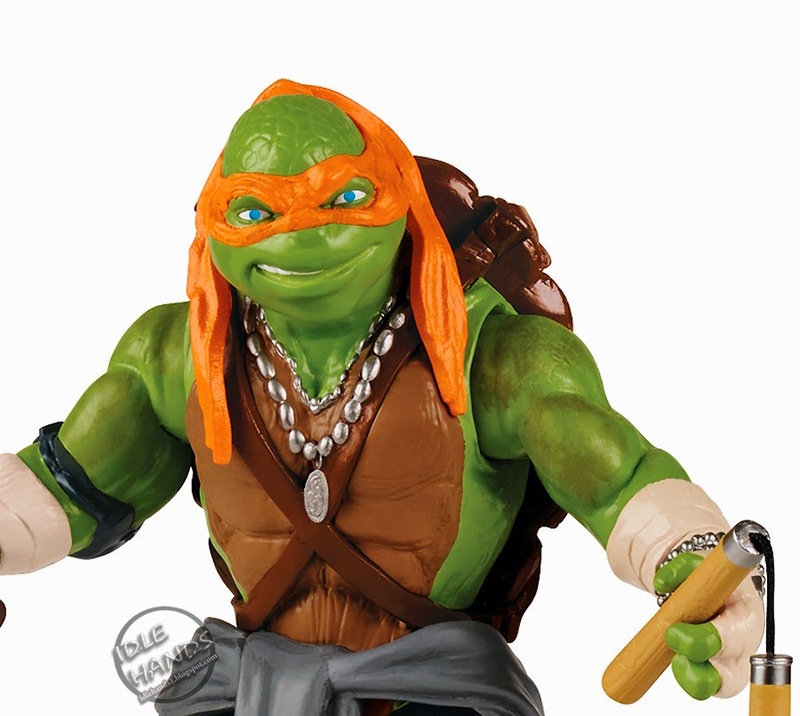 The collection includes Leonardo with katana sword, bandana and two hand guards, Michelangelo with Nunchuck, bandana and two hand guards, Raphael with two Sais and bandana and Donatello with Bo Staff and bandana.